The Mid-South’s cotton crop is rapidly maturing and many of our acres will receive a harvest aid application soon after Hurricane Irma moves through the area. There are many factors to consider in determining timing, products and rates. 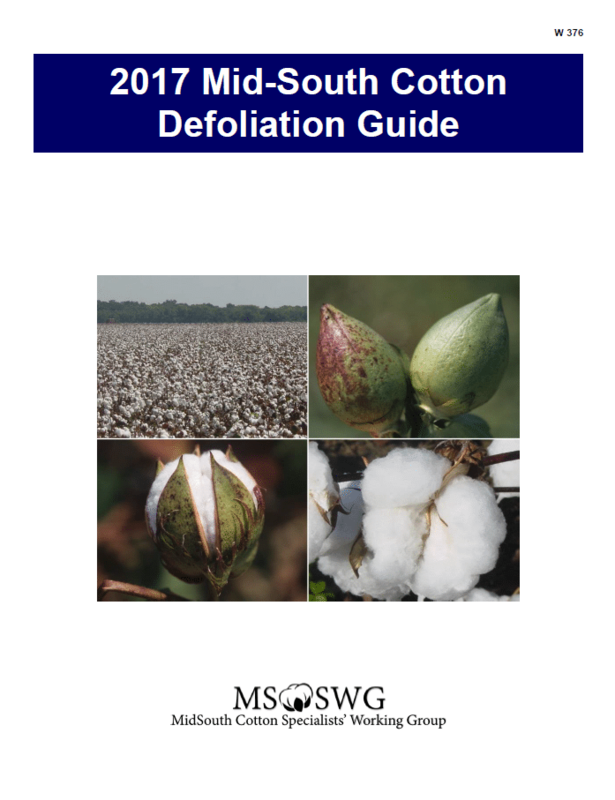 In an effort to outline these decisions and provide harvest aid recommendations for the Mid-South, the 2017 Mid-South Cotton Defoliation Guide has just been updated by the MidSouth Cotton Specialists’ Working Group and is now available online. To access the guide, click the image above or the included link. Please keep in mind that this was compiled as a regional guide and should be used in conjunction with your previous experiences. Biosystems Eng. & Env. Sci.